A veteran conflict and environmental journalist, Peter Annin spent more than a decade reporting on a wide variety of issues for Newsweek. For many years he specialized in coverage of domestic terrorism and other conflicts, including the bombing of the federal building in Oklahoma City and the Branch Davidian standoff outside Waco, Texas. He has also spent many years writing about the environment, including droughts in the Southwest, hurricanes in the Southeast, wind power on the Great Plains, and the causes and consequences of the “dead zone” in the Gulf of Mexico. After his time at Newsweek, Annin became associate director of the Institutes for Journalism and Natural Resources, a nonpartisan national nonprofit that organizes educational fellowships for midcareer environmental journalists. 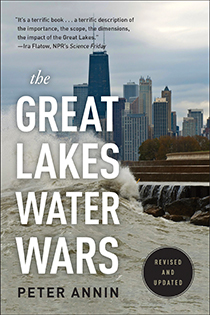 In September 2006 he published his first book, The Great Lakes Water Wars, which has been called the definitive work on the Great Lakes water diversion controversy, and received the Great Lakes Book Award for nonfiction. 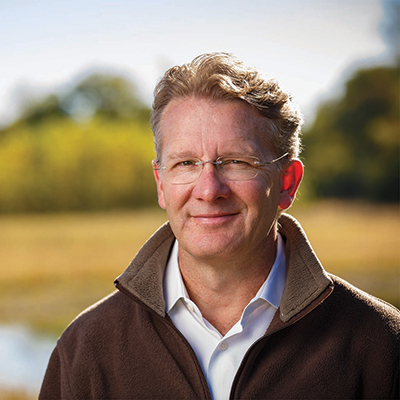 From 2010 to 2015 Annin served as managing director of the University of Notre Dame's Environmental Change Initiative, which targets the interrelated problems of invasive species, land use, and climate change, focusing on their synergistic impacts on water resources. He currently serves as director of the Mary Griggs Burke Center for Freshwater Innovation at Northland College in Ashland, Wisconsin. He has a bachelor's degree in journalism from the University of Wisconsin and a master's in international affairs from Columbia University in New York.